A stay at Hotel Central places you in the heart of Engelberg, steps from Swiss Alps and 8 minutes by foot from Titlis Glacier. Featured amenities include complimentary newspapers in the lobby, multilingual staff, and luggage storage. Free self parking is available onsite. When you stay at Chetzeron in Lens, you'll be in the mountains and steps from Swiss Alps. Featured amenities include multilingual staff, luggage storage, and a safe deposit box at the front desk. 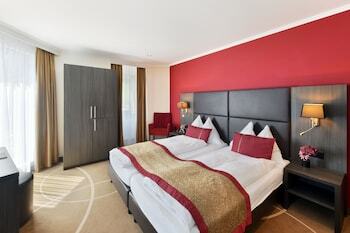 With a stay at Hotel St. Georges in Zurich, you'll be within a 10-minute drive of Bahnhofstrasse and Fraumuenster. The front desk is staffed during limited hours. When you a stay at Hotel Schönegg Wengen in Wengen, you'll be near ski lifts, just steps from Swiss Alps and Mannlichen Mountain. Featured amenities include luggage storage and a library.